Regardless, Tomb Raider is more than worth the asking price. 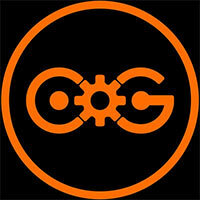 It sets the character up for an amazing sequel and improved multiplayer on next-gen platforms. There’s a whole lot of island to cover and tons of killer action on the way. Set-pieces are astounding and really push the player forward with intense visuals. Lara Croft proves herself one of gaming’s biggest stars once again, but please, don’t ever let her die! Tomb Raider is an exceptional game. Break-neck set pieces and quality combat help make the action exceedingly enjoyable, even if it does stray from the themes of the narrative at times. Impressive visuals and a lively environment brimming with distractions will encourage you to explore, while a solid if unspectacular multiplayer component provides some replayability. Nathan Drake may want to watch his back, because the queen of adventure's gunning for his crown. 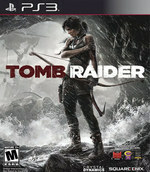 Crystal Dynamics has delivered a stunning and compelling adventure worthy of the brand name. Lara Croft’s origins story is brutal, stunning and expansive, and successfully reinvents an iconic character without compromising the series’ roots. 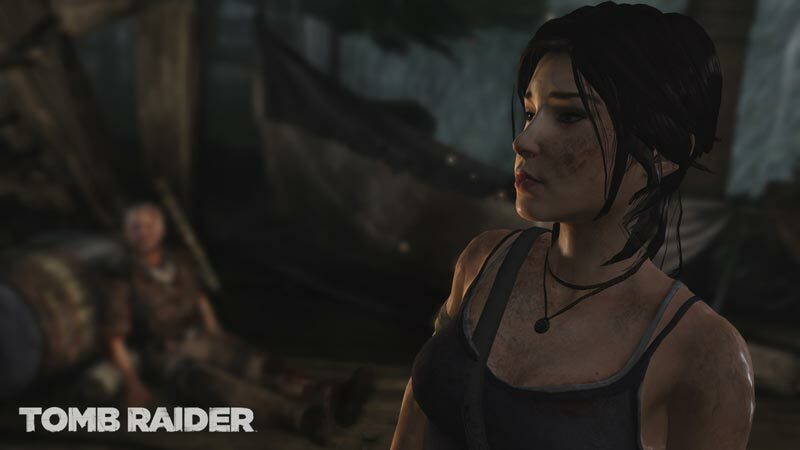 Move over Nathan Drake, Miss Croft is back in town and wants her action-adventure crown back. Don’t miss it. The single-player campaign here is the main attraction, and it is excellent. It doesn't try to rewrite the book on third-person action adventure games. But with its excellent controls, engaging heroine, thrilling combat, and fascinating setting, it doesn't need to. 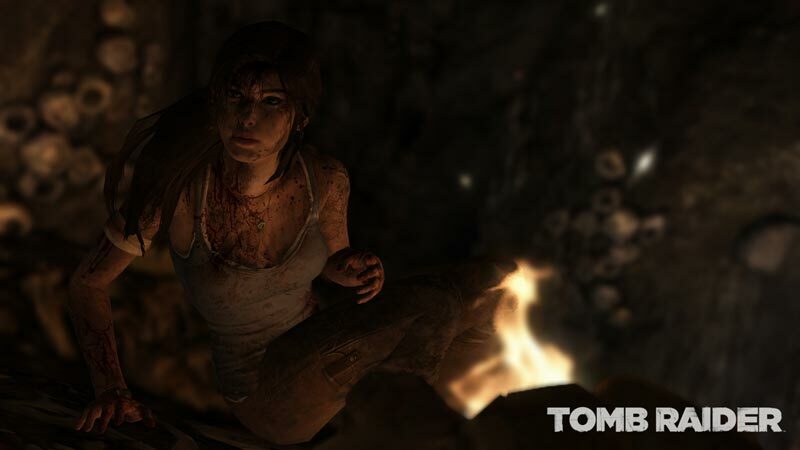 Lara may be covering some previously charted territory here, but Tomb Raider is so well-crafted, you won't mind at all. That unexpected thoughtfulness extends to most of the game. It's easy to point out the many ways that Tomb Raider borrows bits and pieces from other popular games of the last five years, but Crystal Dynamics has blended these disparate strengths into something remarkable. It's cinematic yet open, intense yet laid-back, fresh yet polished. It's a near-perfect embodiment of the age of the Xbox 360 and PlayStation 3 with a hint of what to expect next. The game constantly introduces sequences where you’re falling through craters, out of aircrafts, or you're being shaken by unsuspected foes. While standing in the game’s lush landscapes I found myself wishing I was back in Skyrim where I could peacefully wander about the mountains while plotting my next move. Not so in Tomb Raider. Although the game does a deft job of helping you forget you’re on rails by way of its scintillating environment and deadly atmosphere, you are most certainly on rails. There is always another tedious wall to scale, no matter which way you turn. Whether or not you’ve been a fanboy of Tomb Raider since her pointy breasted days on the original PlayStation (PSone), or just wanted to see what the female version of Nathan Drake would be, Crystal Dynamics takes you on a thrill ride that delivers everything except a girlfriend like Lara in real life. I have to say that this game is definitely worth the price of admission and is definitely worth playing. 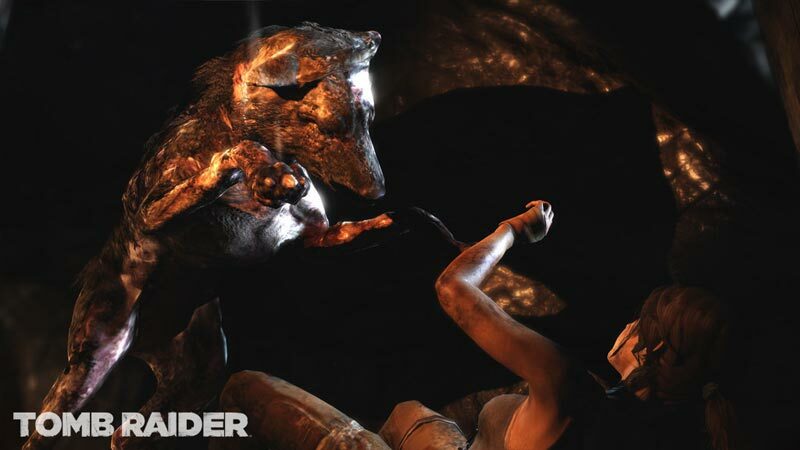 Tomb Raider is back in a big way. This third person adventure is the best we’ve ever seen of its kind. Yes, that explicitly includes you, Uncharted. 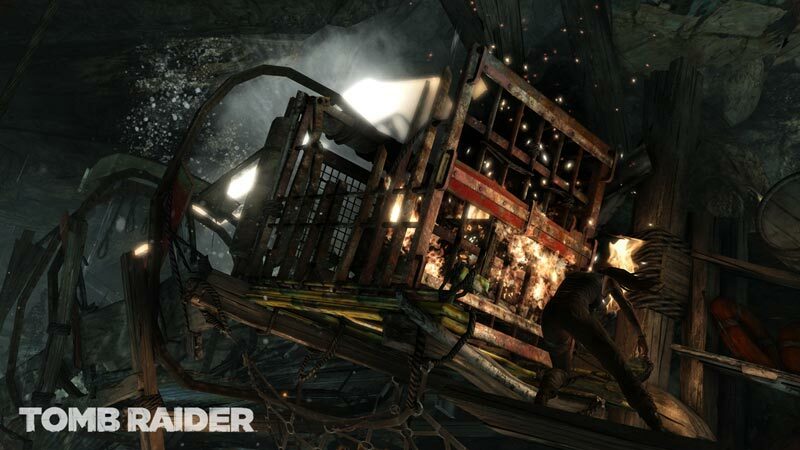 The comparisons between Tomb Raider and the Uncharted franchise will likely rage on between fans, but the simple fact of the matter is, that Crystal Dynamics has built a better mousetrap and iterated on the formula. It rarely makes a misstep in the single player campaign, and for longtime fans, it’s an even more interesting look into the origin story of this iconic character. Crystal Dynamics has nailed a pitch-perfect new vision for one of gaming’s most recognizable characters, and revitalizes her for what I hope will be many more installments. Whether or not you’ve embraced the previous games that went by this moniker, this is the time to take another look at Lara Croft. The change has been a controversial one, but it's also revealed as the right one. 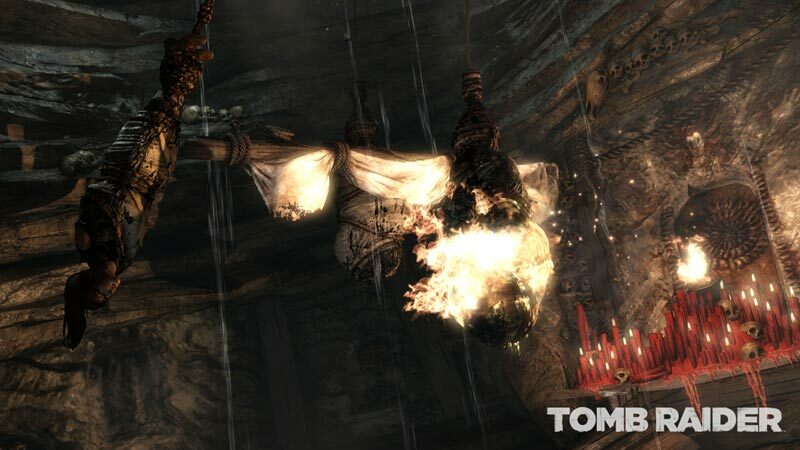 We'd rather be excited for a new Tomb Raider than preserve what worked for the originals at their time of release. Better we're out with an invigorated Lara than watching a gaming icon gather dust and cobwebs for fear of change; that Lara belongs in a gaming museum. This Lara marks the return of the great adventure. Tomb Raider es uno de los mejores juegos que vamos a ver este año, y una de las cumbres del género de aventuras y acción en los últimos tiempos. Inapelable desde el punto de vista audiovisual, la faceta jugable está cargada de flamígeros combates y espectaculares secuencias de acrobacias. Puede que Lara Croft sea ahora más joven, pero demuestra por fin la madurez que los aficionados deseosos de experiencias inteligentes y adultas tanto ansiaban. Lara regresa con una obra a la altura de su mito que aunque no sorprende -mucho menos en el divertido aunque convencional multijugador- ha sabido colocar a la arqueóloga en las aventuras de referencia de la generación. Un imprescindible para los seguidores del género y la nueva confirmación del formidable trabajo de Crystal Dynamics con este icono. Dieses Tomb Raider ist zwar noch lange nicht auf dem spektakulären Niveau, das man ihm als alter Fan der ersten Teile so wünschen würde - am liebsten mit all dem Katakombenkitzel, mit viel weniger Ballast und mehr Entdeckerlust! Aber Lara Croft ist immerhin vom Sexsymbol zum Charakter gereift und wirkt als Archäologin wesentlich authentischer. Außerdem besticht Crystal Dynamics sowohl technisch als auch hinsichtlich der Kameraführung. Allerdings haben sie die große Chance verpasst an das anzuknüpfen, was Lara früher so unheimlich stark gemacht hat. Es ist nicht alles perfekt. Die Bewegungen im Kampf sitzen sicher nicht auf den Punkt, die Handlung dümpelt im Rücksitz des Reboot-Fokus vor sich hin und etwas knackiger könnten die Rätsel auch gerne sein. Das sind aber Kleinigkeiten im Angesicht eines insgesamt beeindruckenden Neustarts in das große Abenteuer, von dem man dachte, dass es inzwischen einem gewissen Nathan gehören würde. La survie, gérée de façon simpliste, y apparaît alors comme un élément en trop, phagocyté par les principes d'XP et de customisation, bien loin de la recherche de racines. Mais, voulu tel quel par Crystal Dynamics, TOMB RAIDER est surtout un divertissement pur jus, parfois vraiment intelligent dans sa mise en scène et ses choix de ton, qui ne restera pas dans les mémoires, mais fait un sacré bon boulot. Le plus important, c'est que le résultat soit là : Tomb Raider est un jeu qu'on vit intensément et dont on ne décroche pas une minute. Techniquement impeccable, le titre vous laissera bouche bée devant ses décors étourdissants et ses animations criantes de vérité. Seule petite ombre au tableau, la queue de cheval de Lara se comporte parfois de manière étrange dans le vent... Franchement, quand on en arrive à noter ce genre de détails, c'est vraiment qu'on n'a rien d'autre à se mettre sous la dent pour jouer les blasés ! Este é o poder do novo Tomb Raider e este é o incrível fascínio que exerce nos amantes dos jogos de ação e aventura. O trabalho do Crystal Dynamics é incrível e apesar de haver espaço para melhorias, este não deixa de ser um fenomenal cartão de despedida a esta geração de consolas. Se são amantes de videojogos não há por onde contornar, este é um jogo obrigatório. La prima, nuova, avventura di Lara va intesa come un blockbuster hollywoodiano tutto polvere da sparo, sequenze mozzafiato e costole incrinate. Gli scontri a fuoco elementari, le dinamiche essenziali della caccia (tira tre frecce, ammazza il cervo, prendi punti esperienza) e una certa semplicità di fondo sono tutti fattori che contribuiscono a mantenere leggero eppure sempre interessante e in continuo divenire il ritmo di gioco. Se volete perdervi per una decina di ore in un gioco fracassone, Tomb Raider è una delle migliori scelte di questa fine di generazione.